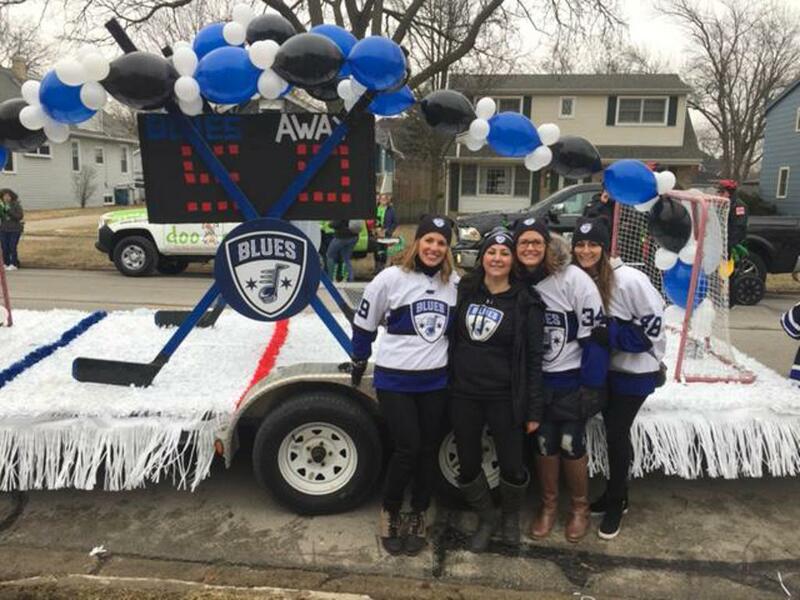 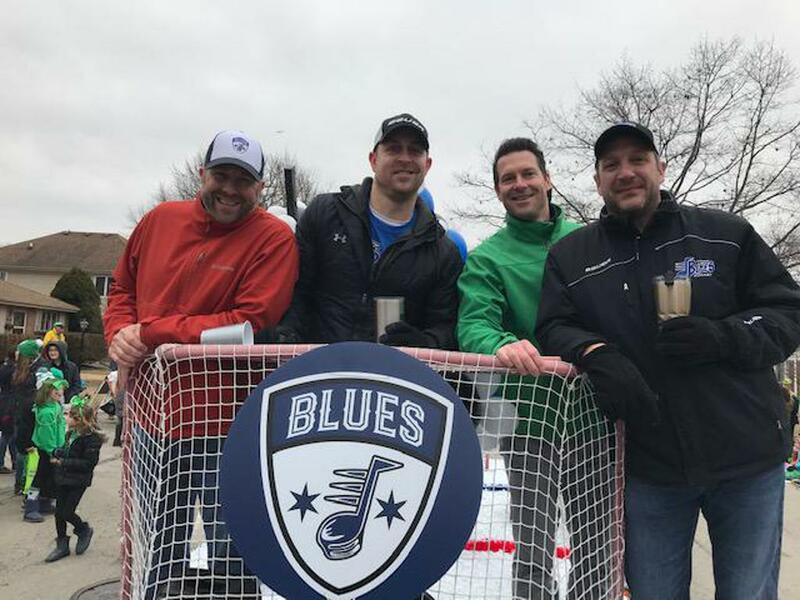 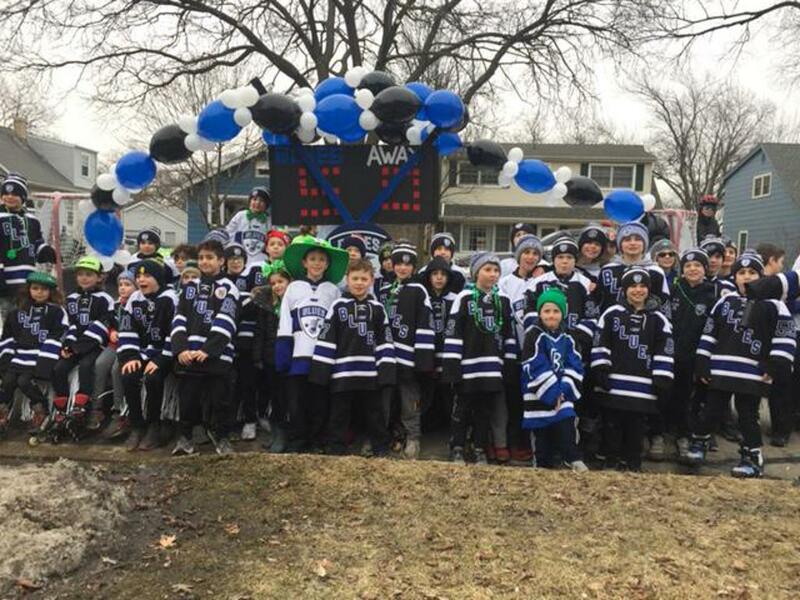 The predicted nasty weather held off just long enough, the parade route was lined with revelers and the Chicago Blues were once again a major attraction at the 23rd annual Elmhurst St. Patrick's Day Parade on Saturday, March 9. 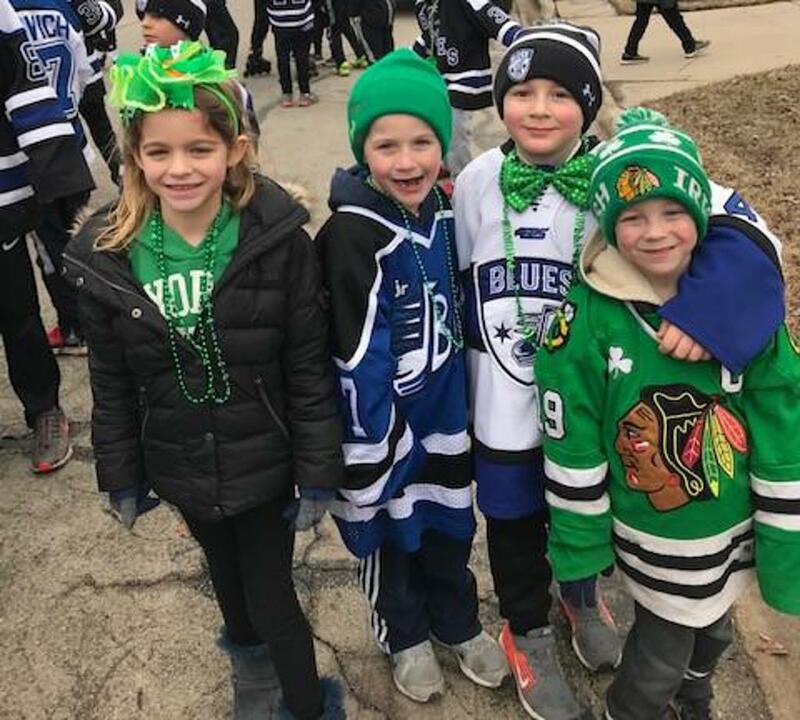 For the 11th straight year, Chicago Blues players and their family members walked or roller-bladed in the second-largest St. Patrick's Day parade in Illinois. 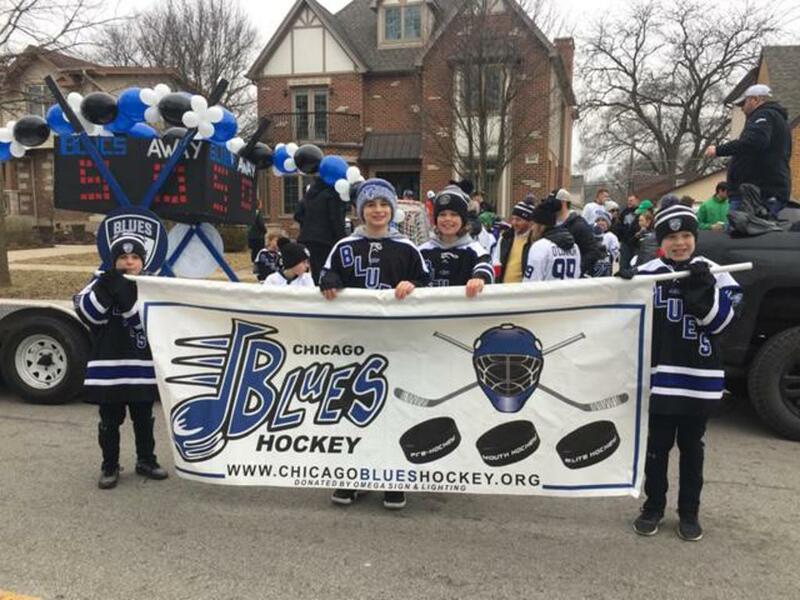 Parade marchers passed out treats and our famous Chicago Blues/Blackhawks pucks. 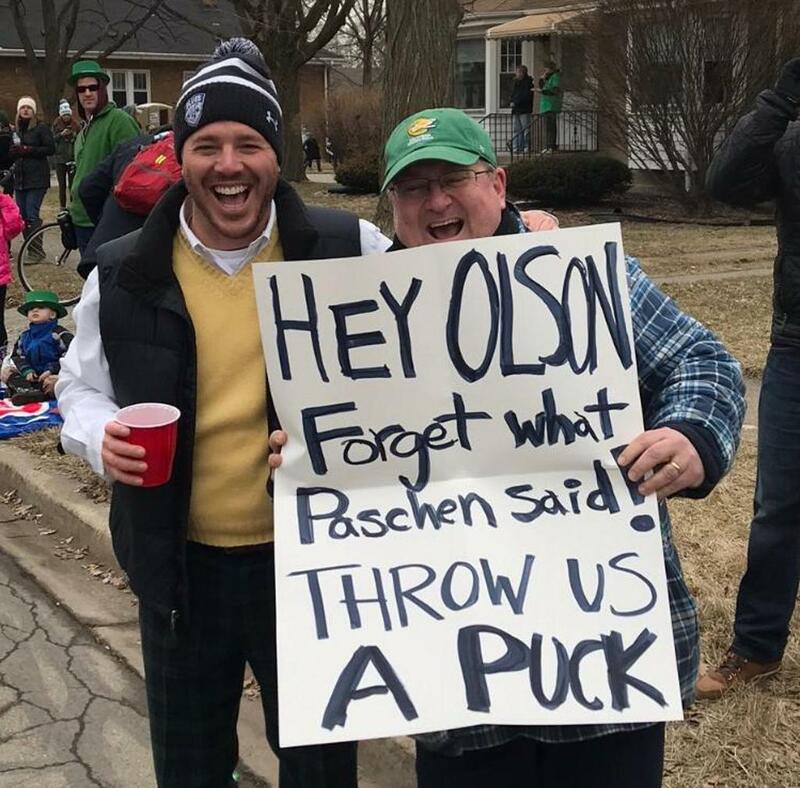 Thanks to Ron Pretzie and everyone else who donated a ton of time to make it a success.